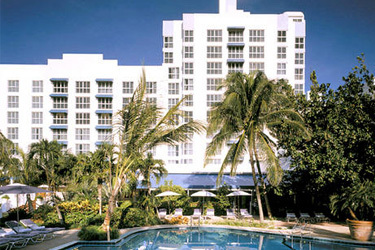 The Palms Hotel & Spa features 243 spacious guest rooms on 11 floors, boasting impressive views of the ocean, the hotels' lush tropical gardens or the Miami Beach cityscape. Updated in 2007, these stylish rooms include two one-bedroom oceanfront suites and two 2-bedroom penthouse suites with large rooftop terraces. Oceanfront rooms have floor-to-ceiling panoramic windows overlooking the tropical gardens and the blue waters of the Atlantic Ocean. Drawing upon the soft hues of the white sand and sea, accommodations are designed with custom-crafted wood furnishings and contrasting fabrics in varying shades of white, blue and chocolate brown. 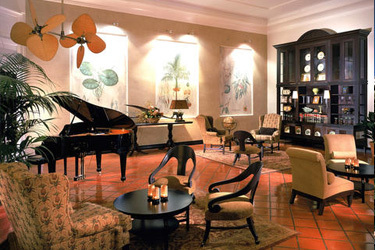 With mood-evoking décor, The Palms transports guests to the antebellum era of majestic tropical estates. Adding state-of-the-art amenities, our hotel provides an ideal retreat. 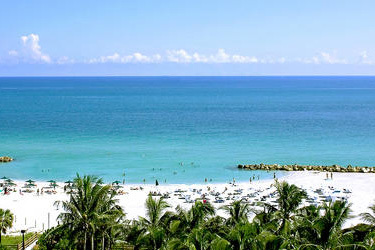 Whether your visit is business or pleasure, The Palms Hotel & Spa and its friendly and professional staff offer an array of amenities and services to meet your needs & make your stay enjoyable while visiting exciting South Beach. From arranging leisure activities, transportation, nightclub and dining reservations to assisting with business related needs on or off site, we are committed to providing the best in customer service and amenities. 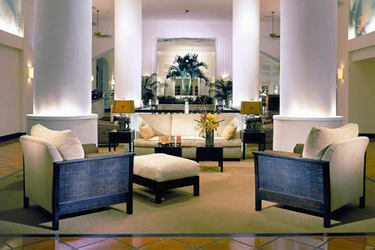 The Palms Hotel & Spa has been designed to meet your every need. In an atmosphere of natural sophistication, we provide the conveniences and personalized attention to make your stay worry-free. Offering you the modern amenities of a large hotel, and the personal service and authenticity of an intimate boutique hotel, The Palms beckons you to relax and enjoy. 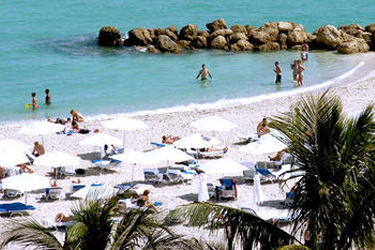 Adding modern conveniences and recreation opportunities, we create a unique South Beach hotel with top of the line services and many onsite features. 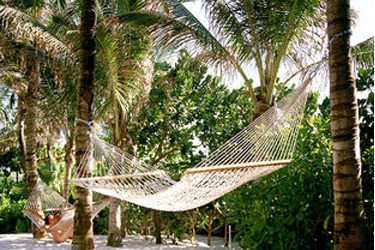 A magnificent location combines earthly elegance, dedicated personal service, distinctive dining, and the first Aveda oceanfront resort spa in Florida opening in Spring 2009. Ideally located in the heart of Miami Beach, The Palms Hotel & Spa is entering a new era with the introduction of a new Aveda concept spa, The Palms Spa, and a signature "natural gourmet" restaurant and lounge, Essensia. The Palms Hotel & Spa offers guests a genuine sense of well-being incorporating a series of sensory and holistic experiences designed to transform, nourish, and rejuvenate its guests. 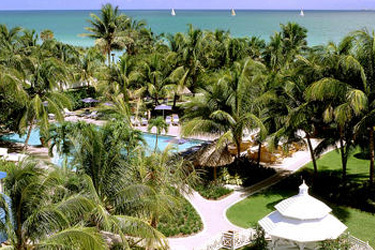 The naturally refined Palms Hotel & Spa provides a unique mix of services and amenities. We offer the character and service of a boutique-style hotel with the capacity and amenities necessary to easily facilitate large groups and functions. We also offer close proximity to South Beach's most exciting nightlife, while at the same time, providing a tranquil escape for guests seeking that peaceful getaway. 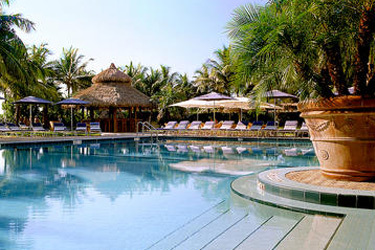 Relaxation is within reach at The Palms Hotel & Spa, a unique oasis among Miami Beach hotels. 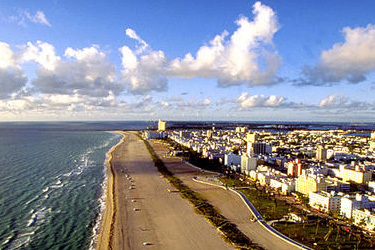 Chic South Beach and its surrounding neighborhoods offer numerous attractions for visitors to enjoy, children included!! From world-class shopping, renowned museums and art galleries to a fabulous culinary scene boasting a variety of cafes and restaurants and a hot nightlife scene, our destination bustles with exciting options, drawing visitors back year after year. And did we mention the magnificent beaches? Providing the best of worlds, our South Beach hotel gives visitors convenient access to popular urban attractions with tranquil, tropical accommodations. Offering a wide range of destinations and activities to please all tastes.